beautiful, but unlike many of the state’s other architectural gems such as the Newport mansions, they were not built for or by the important and wealthy. They were built and used by blue-collar citizens. Artist Bio: Andrew Grover is a multi-generation Rhode Islander who attended Cranston Public Schools and has been a public school teacher for 16 years. He lives with his partner, Sam, in Warwick. 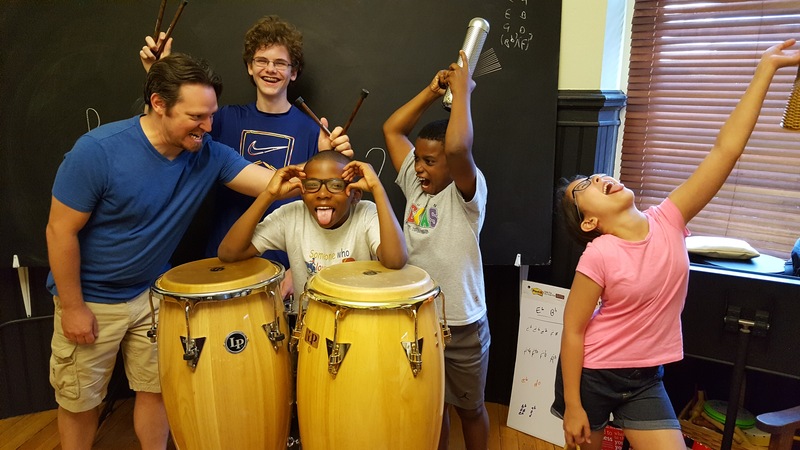 Applicant Organization: Friends of the Rhody Center, Inc.
Project: Friends of the Rhody Center will continue to offer community steel pan ensembles for both youth and adults, and a West African drumming ensemble for ages 13 and up. The ensembles will rehearse weekly, and we will seek out performance opportunities in the community. Rehearsals will be free for youth, and will be offered on a sliding scale donation structure for adults. 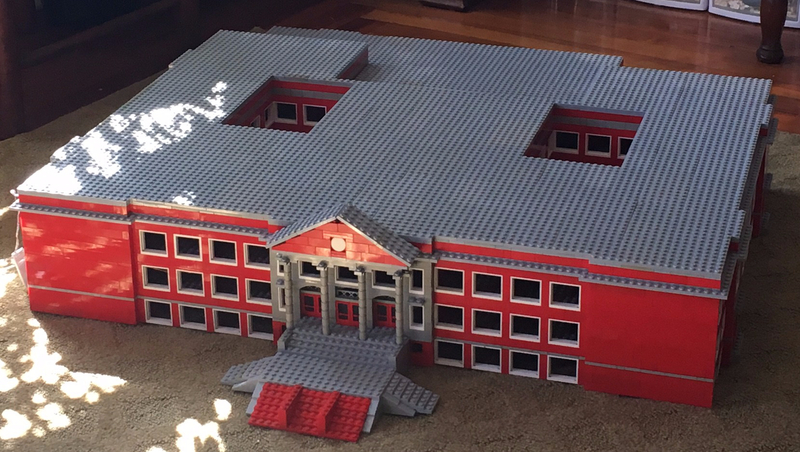 Adult donations will help cover the costs of the kids’ instruction. We are offering two steel pan ensembles and on West African ensemble. 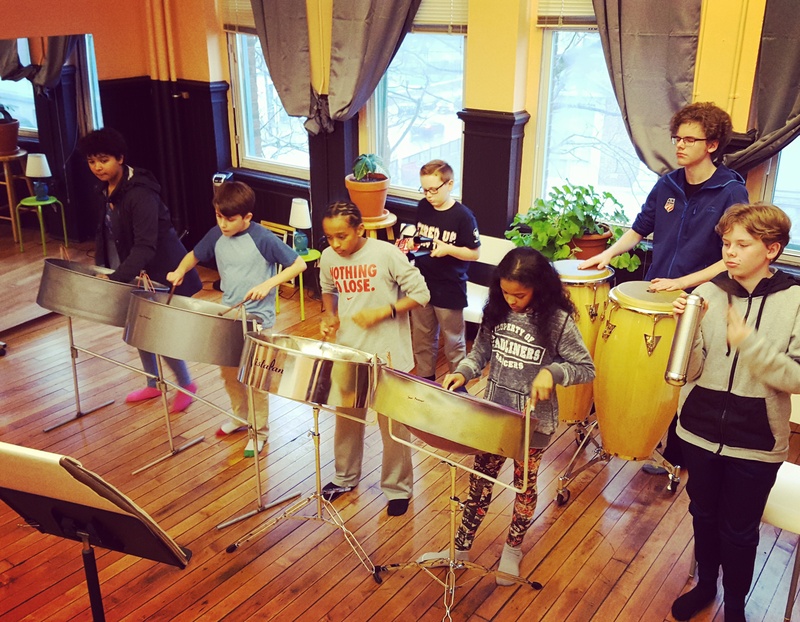 We offer a steel pan ensemble for youth aged 9-16, as well as an adult ensemble. many schools in Rhode Island have had to reduce or even eliminate their music budgets. We wish to provide a positive after school activity that enriches students’ lives and gives them a musical outlet, while also teaching about the history and culture of Trinidad and Tobago/the Caribbean, and Mali/West Africa. About the Organization: The mission of the Friends of Rhody Center is to promote music and dance by providing student scholarships and artist stipends and engaging in community outreach.